Kentucky has been hugely affected by the opioid abuse epidemic. Last year, 623 state residents died from the opioid fentanyl, up 6% compared with 2015. 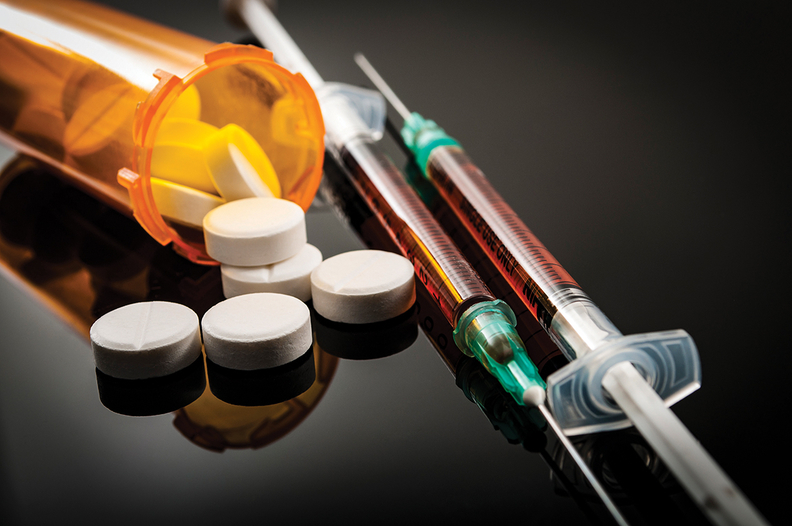 In 2015, the state experienced the third-highest rate of drug overdose deaths in the country, according to the Centers for Disease Control and Prevention. Alarmed by the statistics, WellCare, one of the state's Medicaid insurers, has created a program that monitors members who are prescribed opioids. Program participants are connected to just one physician, one pharmacy and then a social worker who can help with addiction treatment and support services. The hope is to tackle pharmacy shopping, which is when patients use multiple pharmacies and prescriptions to obtain the same opioids. Identify patients with multiple opioid prescriptions at more than one pharmacy. Ensure members see just one provider and pick up prescriptions at a single pharmacy.Connect members with care managers who can discuss proper medication utilization and help address social risk factors. For the program pilot, which began in December 2016, WellCare identified about 1,300 Kentucky Medicaid members at risk for opioid misuse or abuse. After the six-month pilot, the program was continued as a regular offering. The Tampa, Fla.-based insurer uses claims data to target members who have multiple opioid prescriptions and use multiple pharmacies. Patients who take frequent trips to the emergency room for opioid prescriptions are identified as well. The members first received a letter from WellCare urging them to enroll in the program. Care managers also called members multiple times to persuade them to join. The vast majority did, said Dr. Howard Shaps, senior medical director at WellCare of Kentucky. Under the program, the care managers set members up with one primary-care physician and a local pharmacy where they can pick up medications. If the member wants to pick up a medication from another pharmacy, WellCare has to approve it. "Our objective is to make sure that their care is pretty well-coordinated," Shaps said. Care managers and social workers also usually meet with enrollees once a week to educate them about their disease management and how to take medications properly. WellCare employs about 60 nurses and social workers in Kentucky as well as about 40 care managers. The care managers even help members address social or personal concerns that influence their health. For example, if a member faces difficulty accessing healthy foods, the care manager sets them up with local food banks or farmers markets. "Tying in the medical and behavioral health as well as the social side—we can help close those gaps," Shaps said. There are kinks in the program, however. For example, primary-care physicians don't feel comfortable prescribing cardiac medications to their patients, so WellCare had to add more physicians to the program. During the six-month pilot, the program reported a 50% reduction in opioid dispensing among enrollees. Additionally, prescribing of cyclobenzaprine, a common muscle relaxant, declined by 35% and prescribing of benzodiazepines, a class of psychoactive drugs, decreased 30%. A surprise result of the program is that more enrollees are being prescribed the drug Lipitor, a common cholesterol medication. Shaps said because the program encourages members to see their primary-care provider, health issues are identified that would otherwise go unresolved. Given the overall success of the program, WellCare plans to enroll more people in Kentucky. The insurer is also looking to expand the program to its other 10 Medicaid markets.